Can we use Triton X-100 as lysis buffer? 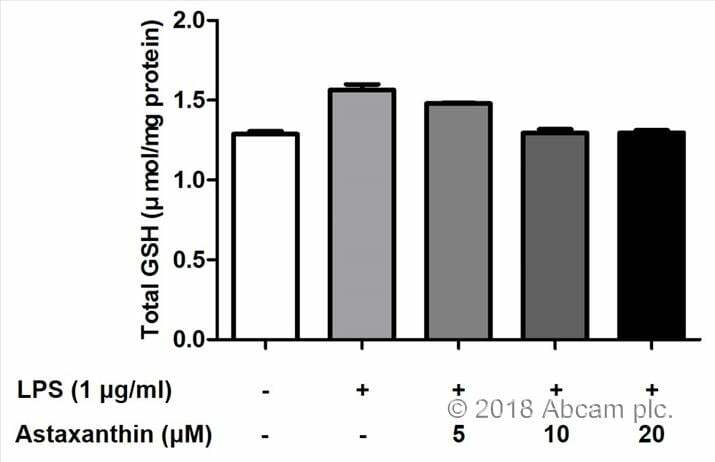 Our in house experiments showed increase in background with Triton X-100 which is why we recommend auto-fluorescent free Triton-X 100 or simply avoiding this lysis buffer. GSH is labile and easily oxidized, so all samples and reagents should be stored ice cold and used as rapidly as possible. For Cell Lysate preparation: Wash cells with PBS. Resuspend 2-4 x 106 cells in 500 μL of ice-cold 5% Metaphosphoric acid (MPA) working solution. Homogenize cell suspension. Centrifuge homogenate at 4°C for 10 minutes Collect the upper clear aqueous layer and keep at 0-4°C for the assay (within 1 hour). Store on ice if used immediately or freeze at -80ºC for future use. Please neutralize the MPA to pH 4˜6 and then analyse the sample with the kit. 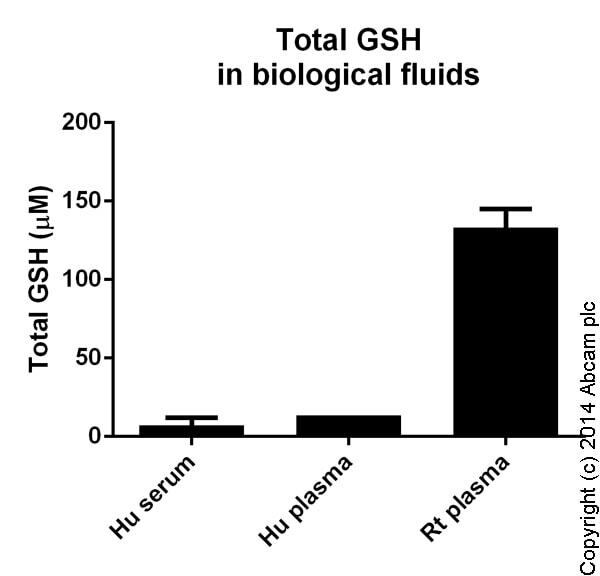 Samples may need to dilute 10˜40 folds depending on GSH amount. which lysis solution should be used ? Is a deproteination step required ? Which cell concentration should be used? 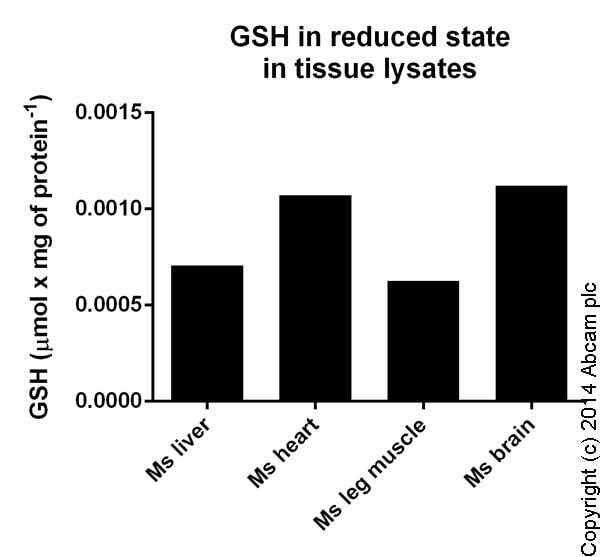 For lysis, you can use 0.5% NP40 made up in PBS pH6.0 to lyse your cells. Please do not use the assay buffer to lyse your cells as it contains no detergent. The deproteinization step is optional, however, we do find that it reduces interference and background in most samples. 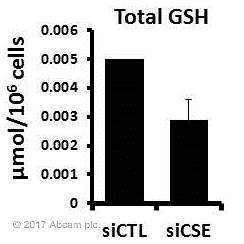 With regards to the number of cells to use, this will depend largely on your cells and how much GSH/GSSG is present in your samples. Samples should ideally fall within the middle of standard curve so you may need to try a series of dilutions to determine the optimal conditions to use. As a starting point, the range of cell concentrations that we would recommend would be 10,000 to 100,000 cells/ well/100 uL. Try starting with ˜10,000 to 20,000 cells with adherent cells, and 50,000 to 100,000 cells with suspension cells. What is the difference between ab138881 and ab205811? We have published ab205811 as an improved version of ab138881. The new product has a water-soluble probe instead of DMSO-soluble, so it should easier to solubilize. For the time being, ab138881 will remain in the catalogue as it gives slightly less sample reading background and some customers might have optimized their experiments with this version. Can the kit be used on whole blood? 1. add equal vol of ice-cold 10% Metaphosphoric acid (MPA) working solution. mix well, let sit at RT for 5 min. 2. Centrifuge at >2,000xg at 4°C for 5 min. 3. Collect the upper clear aqueous layer and keep at 0-4°C for the assay (within 1 hour). 4. Store on ice if used immediately or freeze at -80ºC for future use. Inquiry: Can I lyse the samples with the provided assay buffer or do I have to use another lysis buffer? 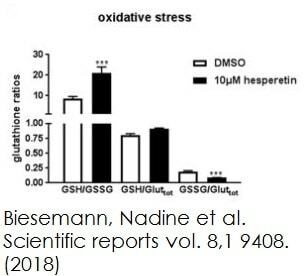 We recommend to use 0.5% NP40 as cell lysis buffer. The Assay buffer does not contain any detergent and therefore it is not suitable to be used for lysing the cells. All of the standards and samples are giving me the same results. Do you know what could be causing this? 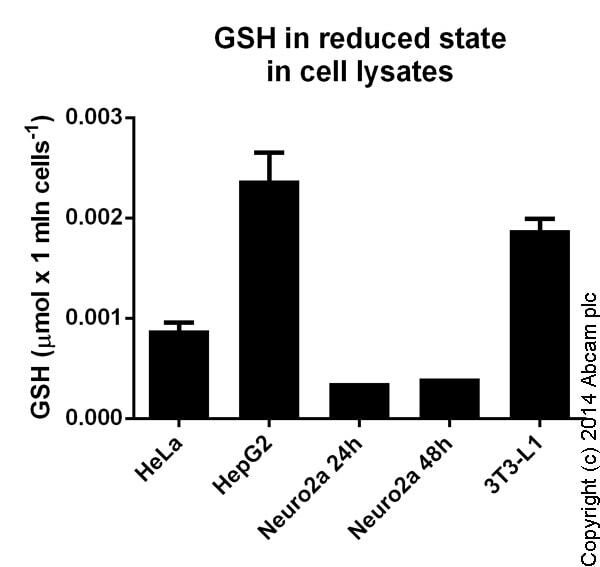 The GSH is very easy to be oxidized. 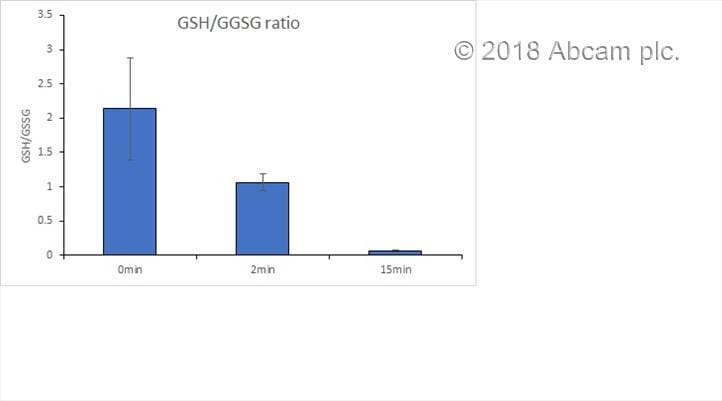 If GSH standard signal is lower than GSSG (or GAM is higher than total GAM), the GSH may be oxidized. Can I use a lysis buffer that contains DTT or Beta Mercaptoethanol? DTT or 2-mercaptoethanol cannot be used for this case. 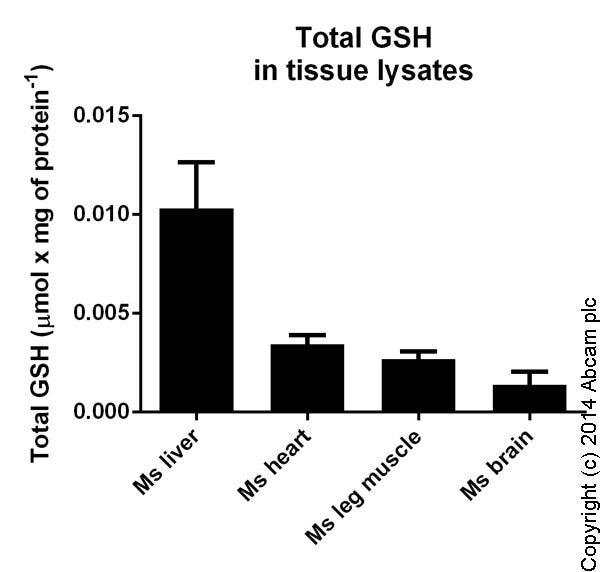 In our kit, GSSG probe is an enzyme-based mixture with other additives that can convert GSSG to GSH, which can be recognized by the probe and generate green fluorescence after reaction. DTT or 2-mercaptoethanol will interfere with the probe, and they should be exclude from the reaction system.